We are Michigan’s best place to get Skincare Treatments, Waxing, Airbrush Tanning and Laser Hair Removal! 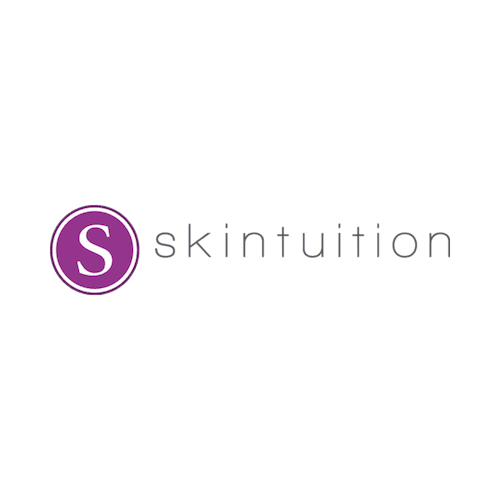 We are called Skintuition because we believe that it requires a certain amount of intuition to help determine the best treatments for our clients. At Skintuition, we are committed to making your time with us extraordinary. Having satisfied clients is what continues to drive us every single day. We love what we do, and we hope that is shows! Visit us at Skintuition and see for yourself what we can offer you. Our team of talented estheticians is always available to address all of your waxing, laser hair removal, airbrush tanning, and skin care needs. We cannot wait to meet you! My name is Lauren Hatley, owner of Skintuition. I have been a licensed esthetician since 2001. Over the years, I have accumulated extensive experience in Laser Hair Removal, Skin Care, Waxing and Airbrush Tanning. I started my training in Laser Hair Removal in 2002, and have performed thousands of Laser Hair Removal treatments since. I am an expert in speed waxing techniques, including Brazilian Waxing. I have been doing Airbrush Tanning since it first came out in 2002. I have tried almost every Airbrush Tanning Solution out there, and have been able to perfect my technique on thousands of happy clients! After years in the Spa industry, I decided to open up my own business in 2008. In 2014, I changed locations and opened up Skintuition. I love having the opportunity everyday to provide services to the most wonderful group of clients that I could possibly dream of! I am a Rochester Hills Michigan girl, born and raised. I am married to my wonderful husband Phil, and mommy to our 2 cats- Grapefruit and Basil. While I am not focusing on Skintuition, I love to travel, enjoy fine dining and wine, go to concerts, shop online, decorate my house, and spend time with my family and friends. Maureen Safian RN, BSN, MEP-C is a highly respected cosmetic nurse specialist who has worked with reputable plastic surgeons as the primary injector for their practices since 2003. She is a member of the Society of Plastic Surgical Skin Care Specialists (SPSSCS), and American Academy of Medical Esthetic Professionals (AAMEP) as well as Association of Medical Esthetic Nurses (AMEN). In 2008, she became one of only 100 practitioners in the U.S. to obtain certication in the medical aesthetic field as a Medical Esthetic Professional-Certified (MEP-C). My name is Amy Palomar and I discovered my passion for waxing while in school. After receiving my Esthetician’s License I focused my talents on eyebrows and full body waxing. I continue to educate myself on the latest in techniques and products. I also enjoy being up to date on the latest Skin Care and Makeup trends. I can be found at a number of places in the Metro Detroit area supporting and / or participating in the arts. In a previous life I was a night-life photographer covering some of the most important concerts and events of the time. Now I mostly photograph my two cats Ozzie and Meep. Having grown up in Royal Oak I am proud to call the mitten home and I am excited to assist you in any way I can. My name is Michaeline Holman and I grew up in the small town of Brooklyn Michigan. I have always had a love for beauty and esthetics ever since I was a young girl, first trying out my hand at dollar store store makeup. Thankfully, both my skills as a professional, and taste in makeup, have drastically improved! For 4 years in my early 20s, I was a top-selling independent consultant for a skincare company which fueled both my product knowledge, and my desire to pursue a career as an Esthetician so I could share my love for naturally beautiful skin on a more personal level. I received my license in Esthetics in December of 2017 after graduating from Douglas J Aveda Institute in Royal Oak at the top of my class. I enjoy making people feel fantastic about themselves and am passionate about educating and pointing clients in the right direction when it comes to healthy, happy skin! I believe that if you are confident with your appearance, you are more likely to be confident in all aspects of your life. I am constantly attempting to learn new techniques when it comes to esthetics because I know that there is always room to grow. When I’m not working at Skintuition or doing makeup at weddings or other venues, I have my hands full at home with my son Levi, daughter Josephine, pit-mix Piper, and husband, Jamie. I also try to lead a fairly active and healthy lifestyle through diet and exercise, but I am quite the at-home chef and love to get creative in the kitchen. I love rock music and consider myself to be an old soul. I’m excited to serve you and help with any of your skincare concerns! My name is Jenn Guido and I am a licensed esthetician. Like many others, I have struggled with my own skin. My own struggles are what have fueled my deep passion for this industry. I found so much joy in discovering skincare brands and treatments that helped in transforming my skin. My main goal as an esthetician is to educate every client I see in how to properly care for their skin. Making people look good also makes them feel good; which in turn, makes me feel good. There is nothing more satisfying than watching a clients skin improve overtime, as well as their self confidence. It’s so important to feel good in your own skin, and I’d love to help you get there! Hello, my name is Stephanie Gray, and I am a licensed esthetician here at Skintuition. I graduated from Douglas J Aveda Institute in 2017 and have been practicing esthetics ever since. I love working with people and even more so, I love being the one to help those people feel more confident and comfortable in their own skin. I'm constantly online watching videos about new and different techniques for both facials and waxing, figuring out what works best for me. Outside of work, I enjoy baking, cooking, and finding exciting new recipes to prepare. I have 2 dogs- a yorkie named Bella and a Pit mix named Nala. I love candles! Scented candles are something that I will never have enough of. I spend most of my free time hanging out with my soon-to-be-hubby. My name is Miranda Bissinger and I am a licensed esthetician. I am passionate about skincare and esthetics and find joy in sharing my enthusiasm for these subjects to help others feel and look their best. I love my line of work and truly enjoy the reward of working to knowledgeably and successfully treat those around me. I am grateful to be a dog mom and also enjoy time spent exercising. I look forward with excitement to helping you achieve your best skin possible and hope to answer your skincare questions thoroughly.